Chapter 13 Bankruptcy protection is important to those who may not qualify for the benefits of chapter 7 type Bankruptcy. It is designed primarily for those who have a regular and dependable income, allowing them to pay a portion of their debt. It is also a key strategy for those who intend on keeping their property. Kathryn L. Johnson, located in Tucson Arizona is a Law Office that specializes in all types of bankruptcy and can help those with pressing financial concerns. In its purest form chapter 13 Bankruptcy is a debt type repayment plan. In this situation a debtor relinquishes a specified amount of future income to a trustee. The trustee is tasked with the duty of distributing these funds to individual creditors outlined by a payment plan that is sanctioned by a court. Once the plan has been satisfied the debtor receives a discharge of all included debts. The amount that must be paid on each individual plan is calculated based on disposable income, average normal living expenses, and the total amount of debt. Individuals can expect to keep the majority of their assets while most plans will typically run between 36 and 60 months. Individuals contemplating filing bankruptcy should not feel intimidated or threatened by the system. Kathy Johnson is an experienced and knowledgeable attorney that can take an individual through the whole bankruptcy process in a relaxed and logical fashion. She stands by your side through the whole bankruptcy process including the final stages of the discharge. 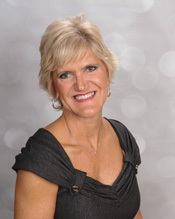 In addition, Kathy Johnson has a wide and varied background including experience as a real estate broker as well as a former mortgage broker. This makes her highly qualified in all aspects of bankruptcy including bankruptcy designed to stop foreclosure. From loan modifications to refinancing and all aspects of automatic stay strategies Kathy can assist homeowners in protecting one of the biggest assets that they may ever own. As a debt relief agency The Law office of Kathryn L. Johnson, is expert in the field of helping people to file for bankruptcy relief as outlined by the Federal bankruptcy code.